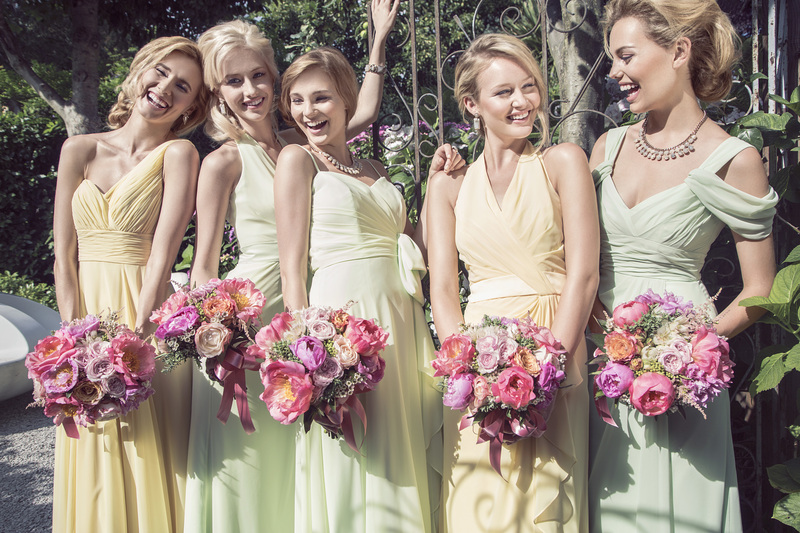 Consider the preferences of your bridesmaids as much as your own. While you probably have fairly fixed ideas in mind about the ideal dress for your bridesmaids, and while it is your prerogative to choose the dresses, it’s a good idea to ask your bridesmaids individually how they feel about your choice and to find out if there are elements that they’d like to contribute. Being positive about their involvement can turn your wedding direction from great to spectacular if you’re willing to listen. Seek to complement the bridal outfit. The bridesmaids’ dresses work best if they support and reflect the bridal outfit without deflecting from it. Keep the bridesmaids’ dresses simpler in design but clearly in line with the bridal gown by having some elements similar, such as embellishments, buttons, bows, lace, etc. It is also a good idea to have contemporary bridesmaids’ dresses if the bridal gown is contemporary or vintage bridesmaids’ dresses if the bridal gown is vintage. It used to be the case that the bridesmaids’ dresses should be made of the same fabric. This has changed given the wide range of fabrics available and the personal preferences of bridesmaids. Always keep in mind that the bridal gown is the most important dress, while the bridesmaids’ dresses are the supporting cast. Be thoughtful about future usefulness of the bridesmaids’ dresses. It is a good idea to allow variations in style between the bridesmaids’ dresses that reflect their physique and their wish to be able to wear the dress again for other formal occasions. 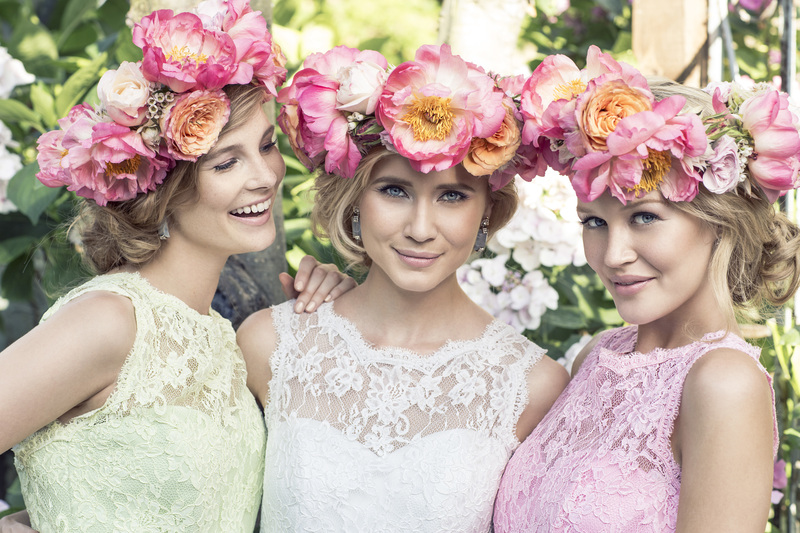 Be considerate of your bridesmaids’ individual concerns. Some of the things your bridesmaids may be uncomfortable about include plunging necklines, bare shoulders, being too hot or cold, wearing a colour that doesn’t suit them, too much length or not enough, transparency, and tightness of fabric. Since these things concern comfort, be willing to be flexible. Dressage is open Monday to Saturday 9am – 5pm or call Morag on 01779490200 if you wish an appointment in the evening or on a Sunday, you will not be disappointed, it is well worth a visit.